In order to maintain its position against global competition, the Danish company Sauer Danfoss continuously optimizes its processes. Therefore, the manufacturer of mobile hydraulics, electrohydraulics and fullelectric solutions has been looking for a marking and identification system for its steering unit housings. The goal of the solution was to identify the parts reliably and safely in all production and logistics processes. The unfinished part for the manufacture of steering unit housings consists of a macrostructured casting which changes its appearance profoundly throughout a range of processing stages using thermal deburring and chemical surface processes. 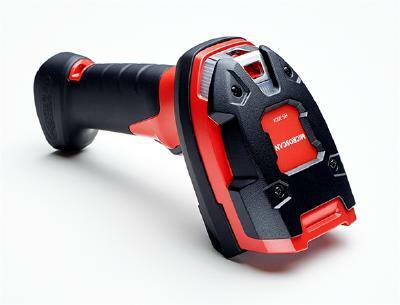 This leads to extra requirements on the marking technology and the identification systems. An additional challenge derives from the fact that the products continue to be manufactured in parallel on several lines, and precise positioning of the parts throughout the production process cannot always be guaranteed due to positional tolerances. Taking these conditions into account, only a form of marking technology which did not just apply the information to the surface but permanently marks it in the material came into consideration. This is the only way to guarantee that the information is retained over the entire production process and continuing product life circle. The decision was made for a dot marking unit made by Borries Markier-Systeme, Pliezhausen in Southern Germany. 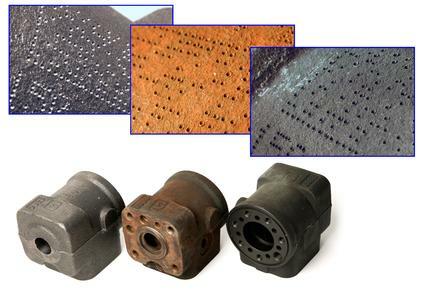 The data matrix code dot peened by the marking unit can be safely recognized even if the surface changes its properties considerably by using suitable reading technologies. 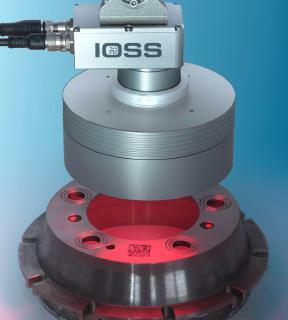 The DMR210 data matrix reading systems made by IOSS were selected. The company headquartered in Radolfzell, Lake Constance in Germany, has been operating in the ID industry for more than 10 years and has specialized in reading of directlymarked data matrix codings and in scribed OCR markings. The readers are successfully implemented in numerous sectors like Automotive and ancillary industries, electronic, solar, semiconductor and medical technology industries. 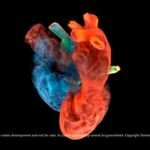 If you are interested into the whole report or you need more information. Please do not hesitate to contact info@ioss.de / Phone No. : +49 (7732) 98 27 96 38. 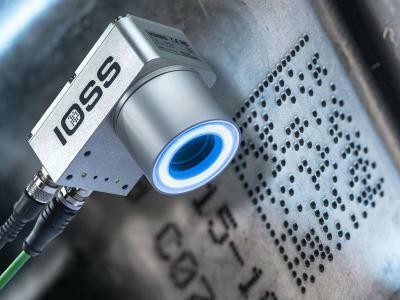 As an optical quality control and industrial image processing system manufacturer, IOSS GmbH is characterised, first and foremost, by its many years of experience and consolidated knowhow in the fields decoding 2D Codes. Through the targeted application of our inhouse knowledge, IOSS creates customized solutions specifically designed to meet the needs of our users.